Personalised number stickers - Enter whatever number you want to have on your car, bus or motorbike. 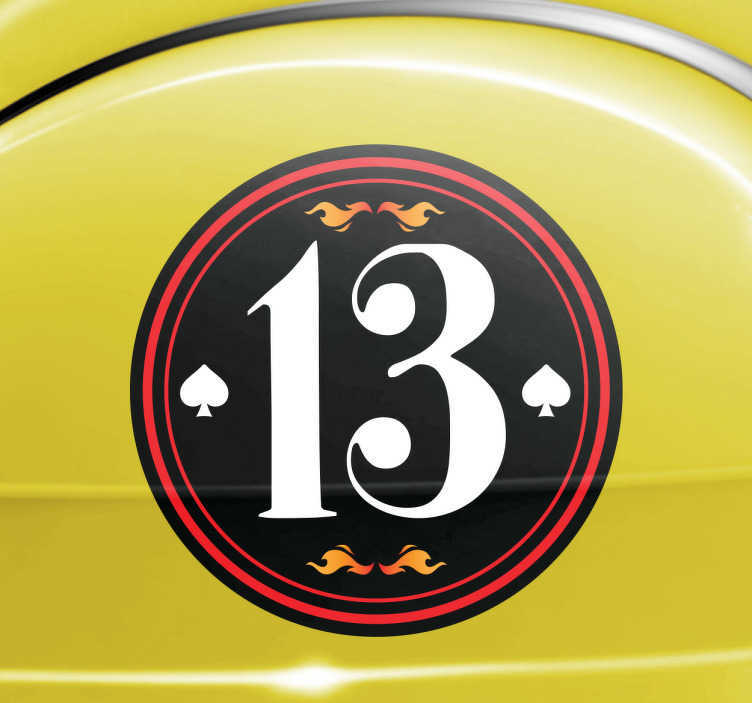 The custom number sticker has a unique design featuring spade symbols from a deck of cards and small fire like patterns. Ride like the wind with this personalised car sticker. The stickers comes in different sizes and is very easy to apply.